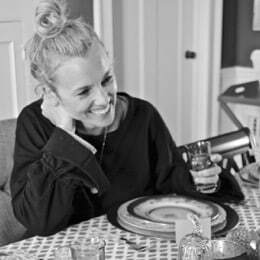 Disclosure: I’ve partnered with JOANN to share some of their amazing holiday products and seasonal decor; I’ve included affiliate links to all the items I used so you can recreate this look! I started with these budget friendly and wildly easy to use vinyl decals. 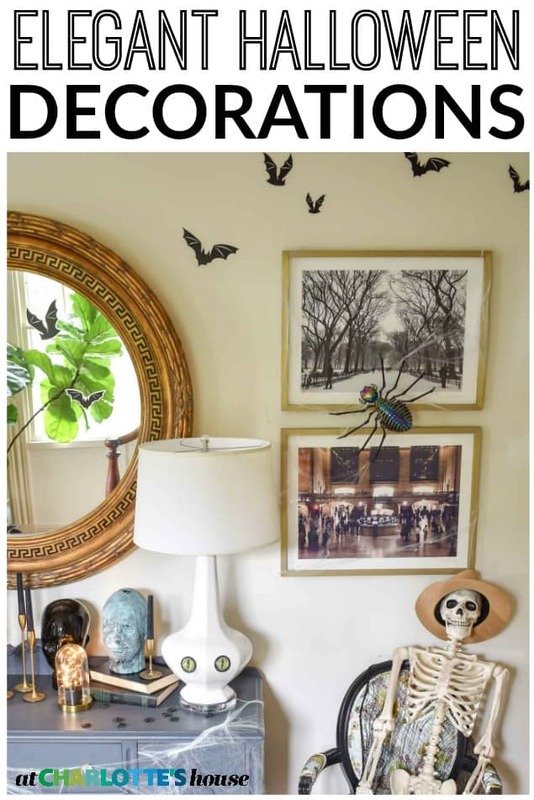 I put the skeleton on the pair of artwork and then started the bats on the large mirror, but carried them onto the walls nearby. 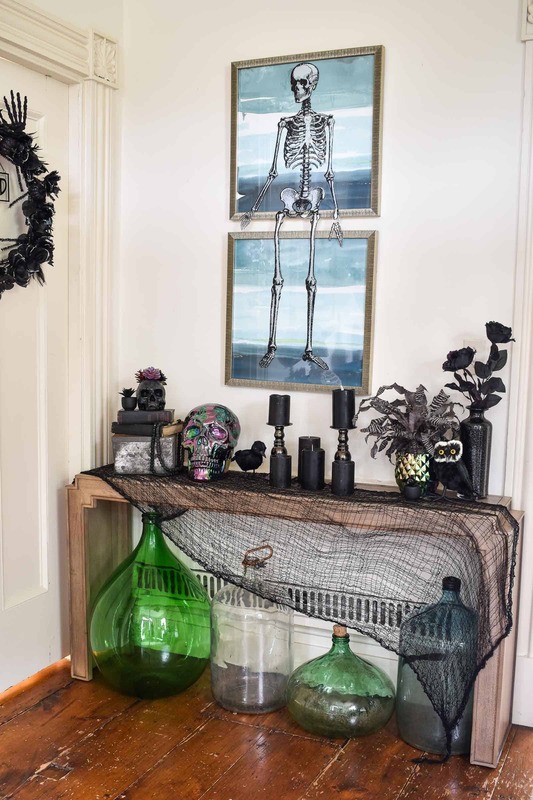 The first thing I bought when I went shopping for Halloween was that amazing ‘oil slick’ spider. 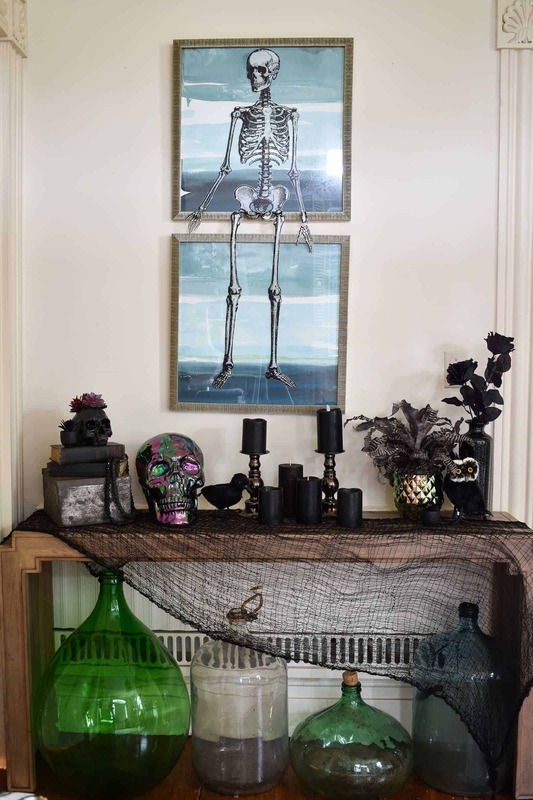 Spooky and chic all at once, it was a perfect springboard for the rest of the decorations. 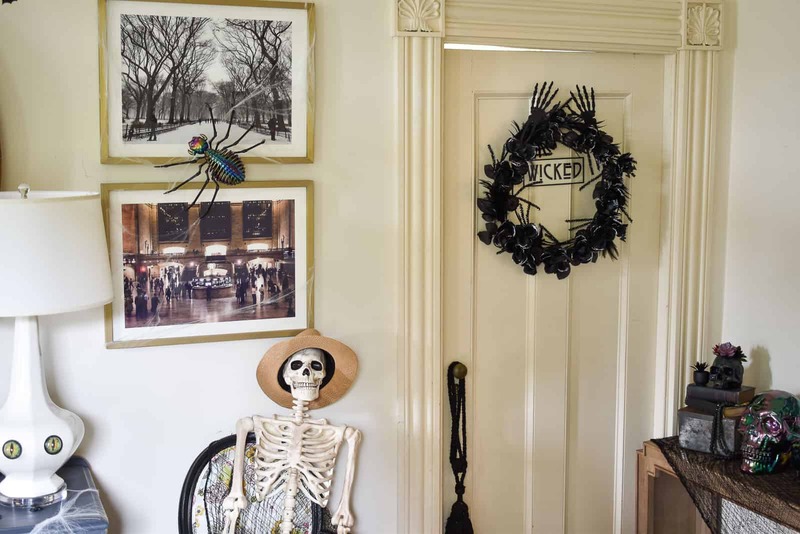 I hung it in front of those photographs with monofilament and then stretched some faux cobweb between the frames. 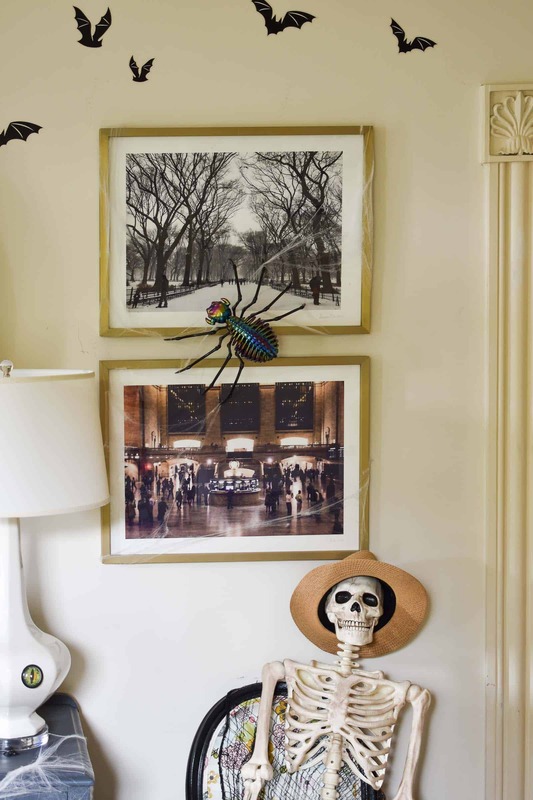 Seated right below the spider is a skeleton quietly reading an old book of vintage fashion trends. 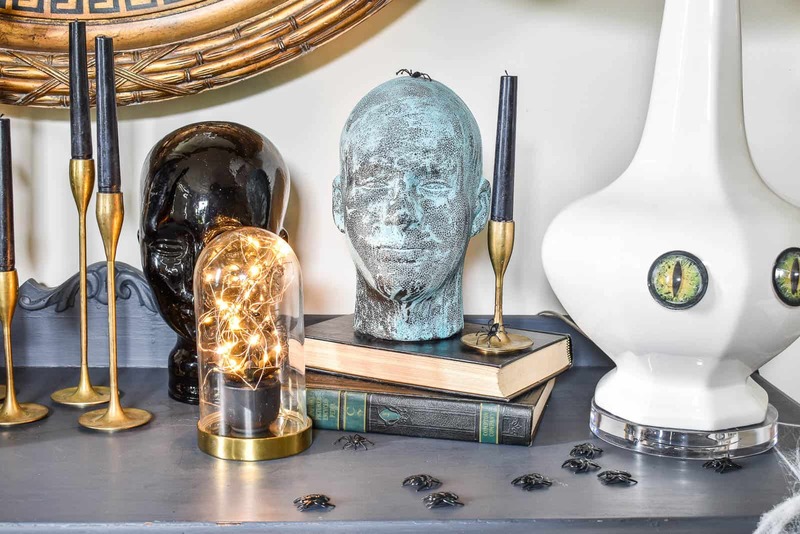 For the foyer table, I paired my flea market glass head with that foam head that I painted with reactive metallic paint. 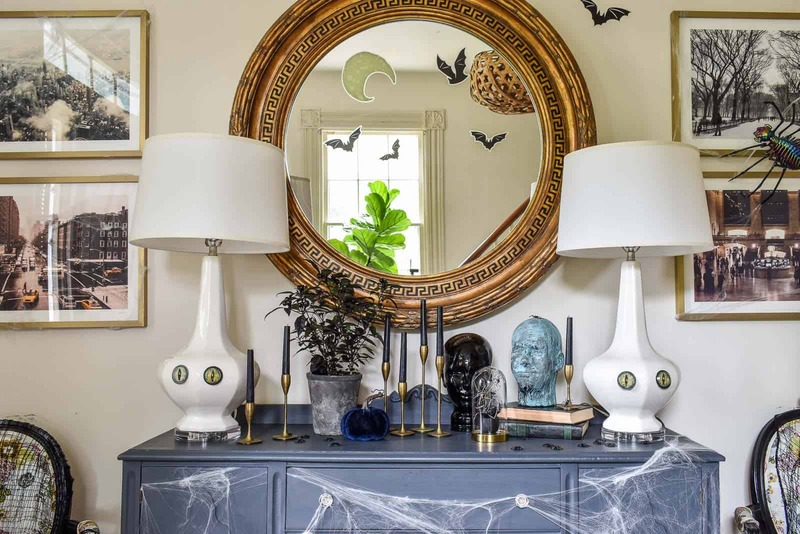 Brass candlesticks, black candles and that fun black pepper plant round off this vignette: spooky elegance. 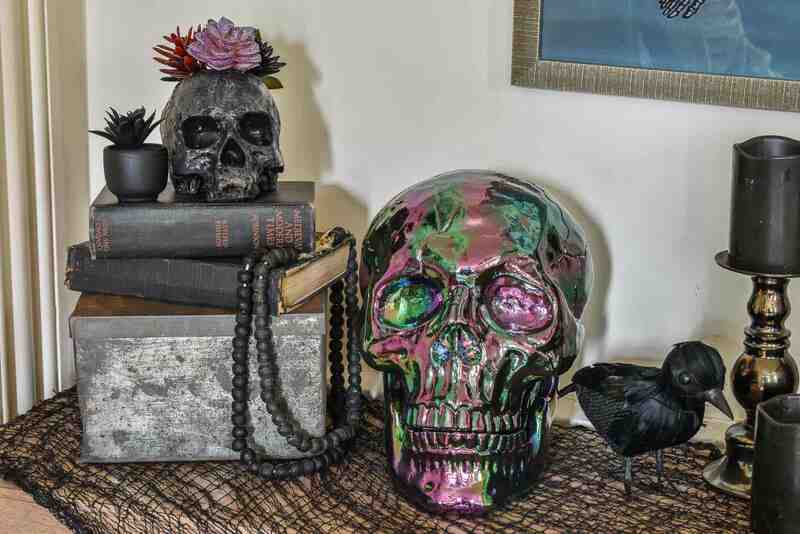 Moving over to the console table against the back wall, I paired that gorgeous oil slick skull with the subtle but lovely succulent filled skull. More candles, and a duo of black birds (a crow and an owl) fill in the gaps. 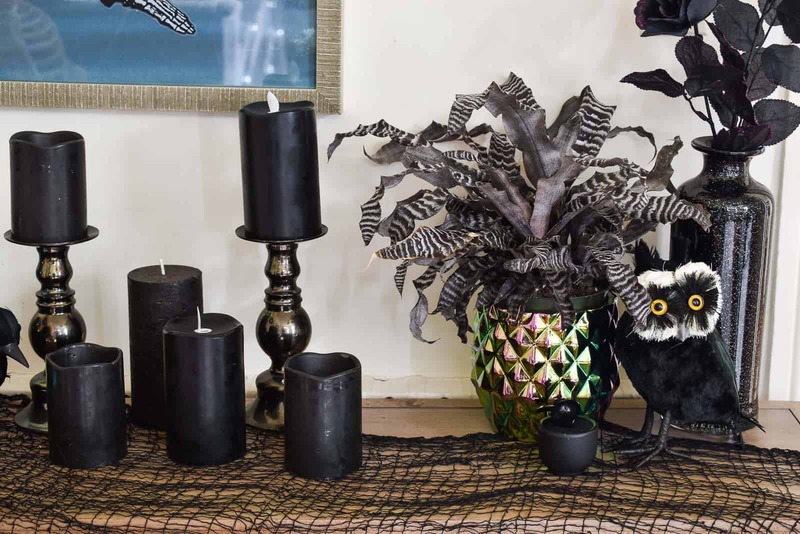 Tucked in the corner, finally, is a black vase with a few stems of faux black roses. The only thing that I’ve skipped so far is my new Halloween wreath! There were a handful of other wreath options, but I wanted something that was a little more specific so I made one myself. Super easy. Promise. 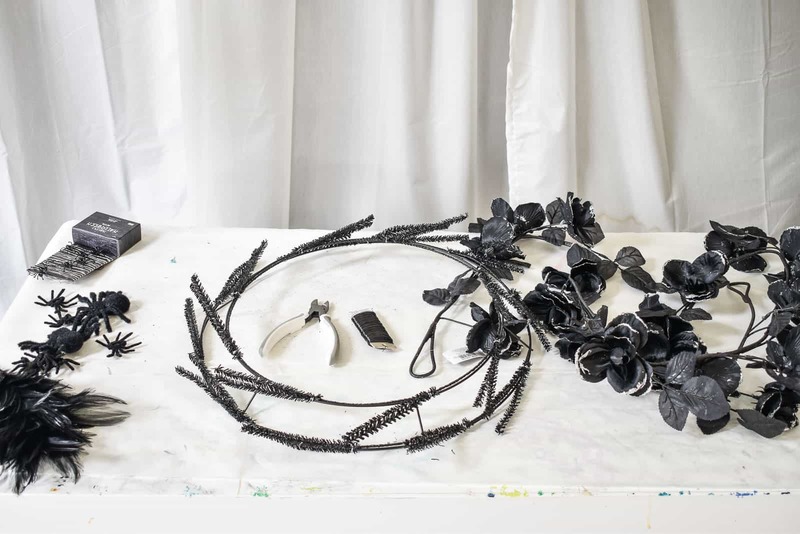 I’m using this black wire wreath.. I loved the little pipe cleaner details and the double rings of wire on this style wreath form. I also precut a handful of black wire to 6-inch lengths. 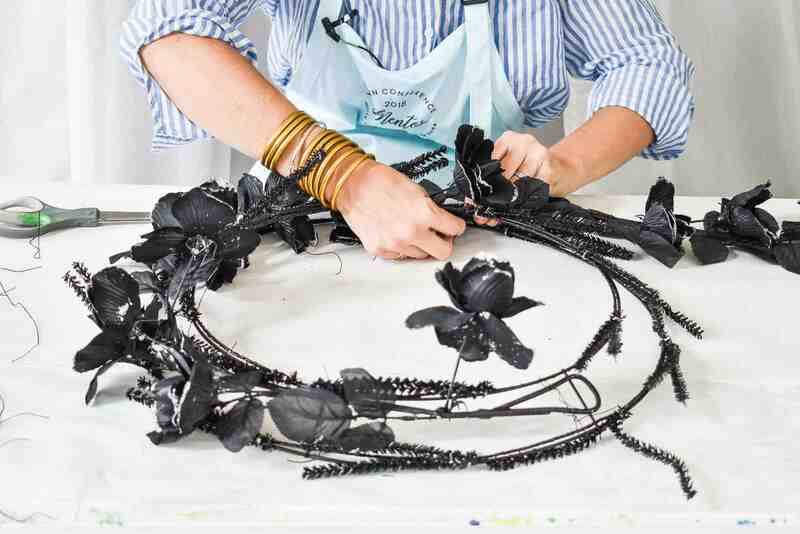 You can certainly do individual flower stems for this, but when I saw this black rose garland... I figured it would save me all sorts of time! 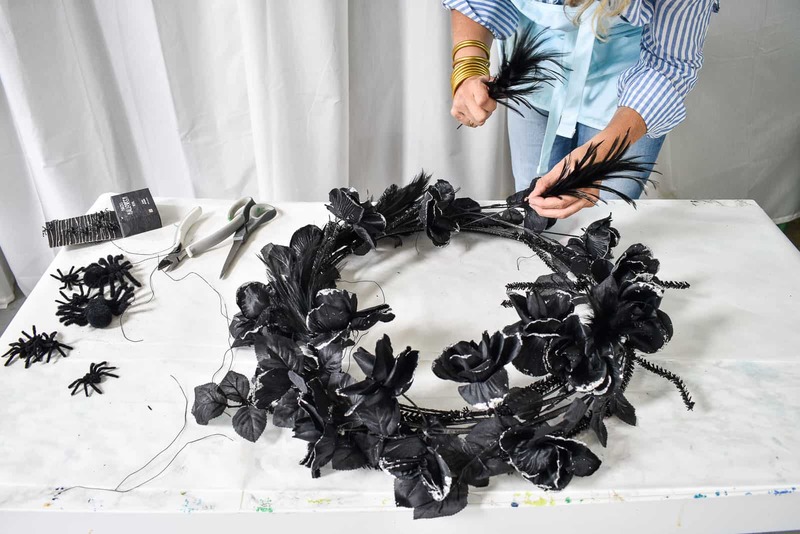 I simply wrapped the garland around the wire wreath form and secured with black floral wire. I’m sure I could have left the wreath alone at this point, but I wanted to add a few details to give it a little more volume. I deconstructed a few feathered items from around the store to get individual feathers and wired them in place. 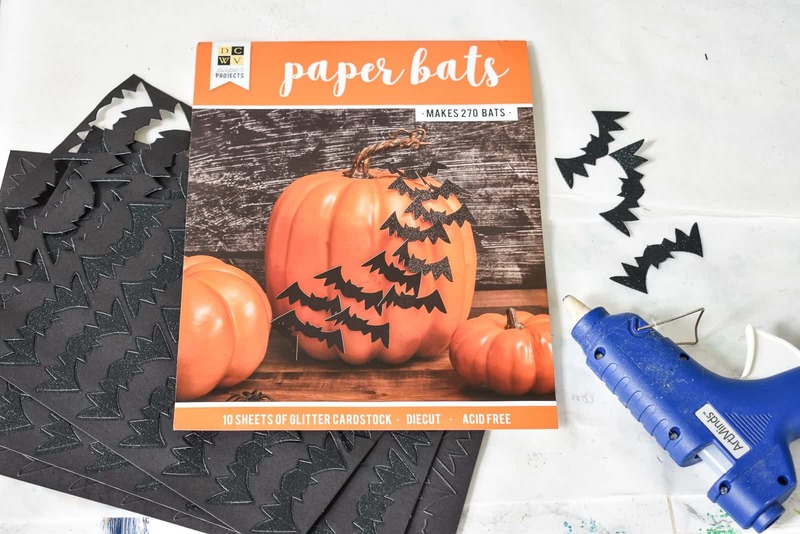 To finish, I glued a few glitter pumpkins, some plastic spiders and these paper bats scattered around the wreath. 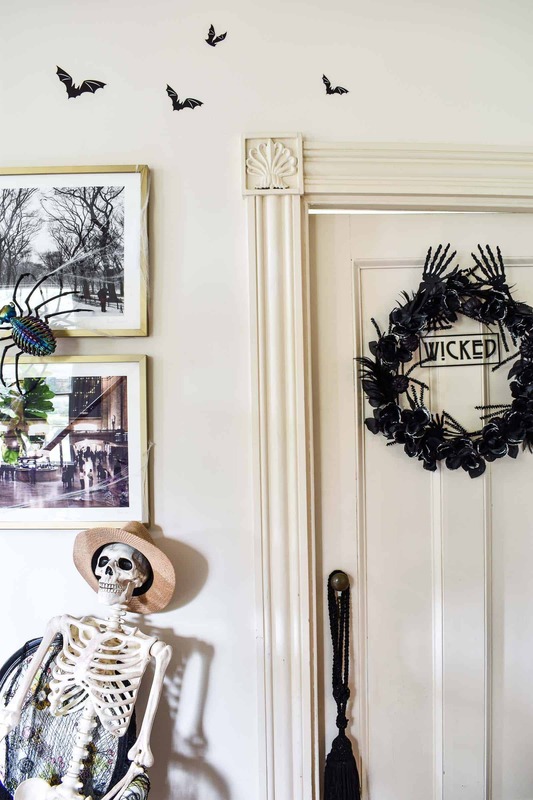 I spray painted a pair of wooden skeleton hands black and ultimately tucked them into the wreath, but I was originally thinking they’d look fun coming out of the dirt in a flower pot. They got a little lost in the foliage so I much prefer them where they are. I’m crazy about that hanging Wicked sign (favorite show on Broadway!) and my thrifted black tassel (similar version linked here). 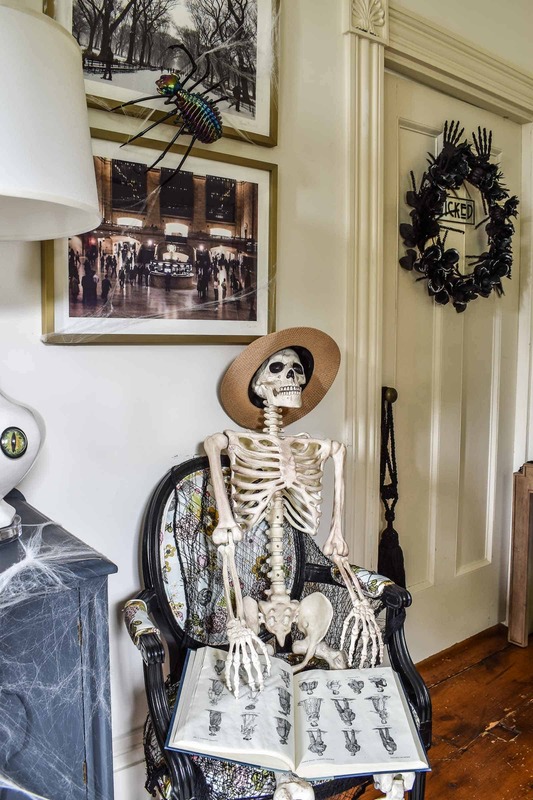 Now that I’ve photographed the space, I can technically take it down to make room for another project, but I can’t quite bare to interrupt my friendly skeleton to take it all down. 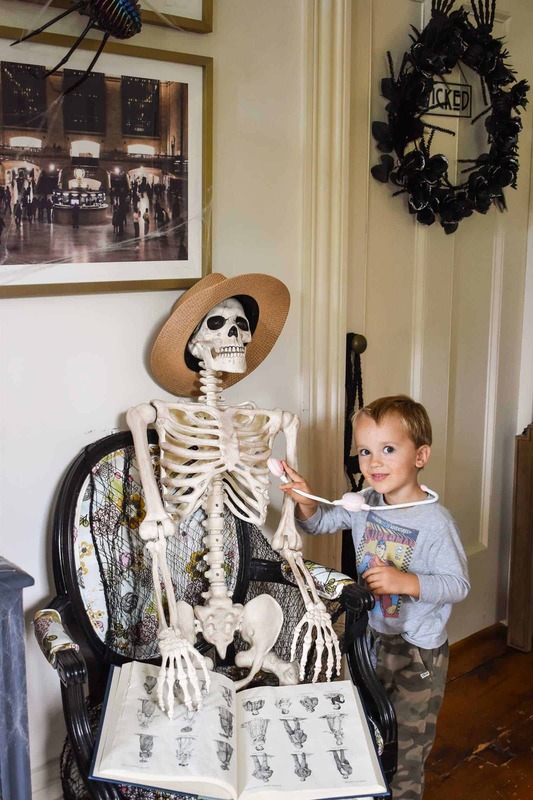 And who says Halloween decorations can’t be a teaching moment… why such a quiet heart beat? 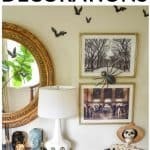 Check out the JOANN app to see more Halloween tutorials and DIYs!! 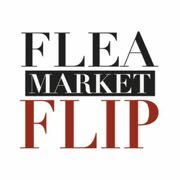 Want to see more great how-to videos? Download the new JOANN app. Oh my, I’m speechless, this is gorgeous! 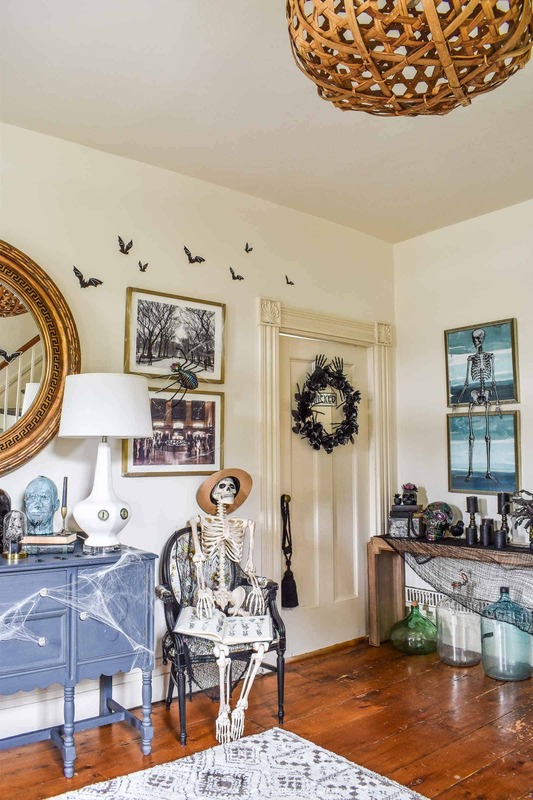 All the details are so adorable and i love how you’ve combined them to make your home look elegant and spooky at the same time. 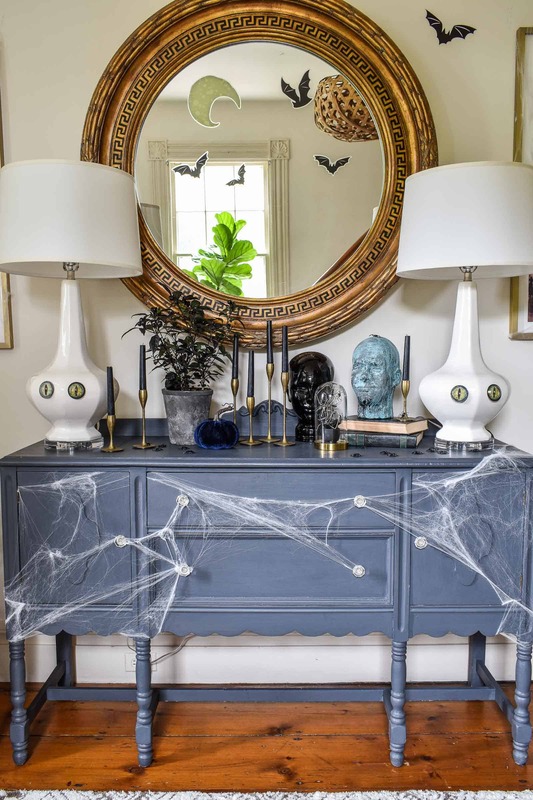 A true spooky elegance as you’ve addressed it. 🙂 That skeleton is amazing and I love the web all over the place. 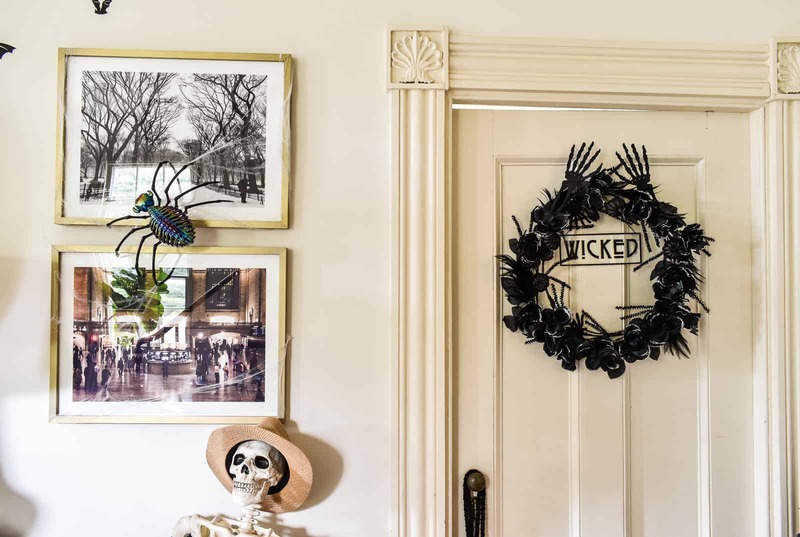 Also, thank you for the useful tips on making a Halloween wreath, it’s absolutely stunning! I love this!! You’re so talented (creative and hilarious too)! 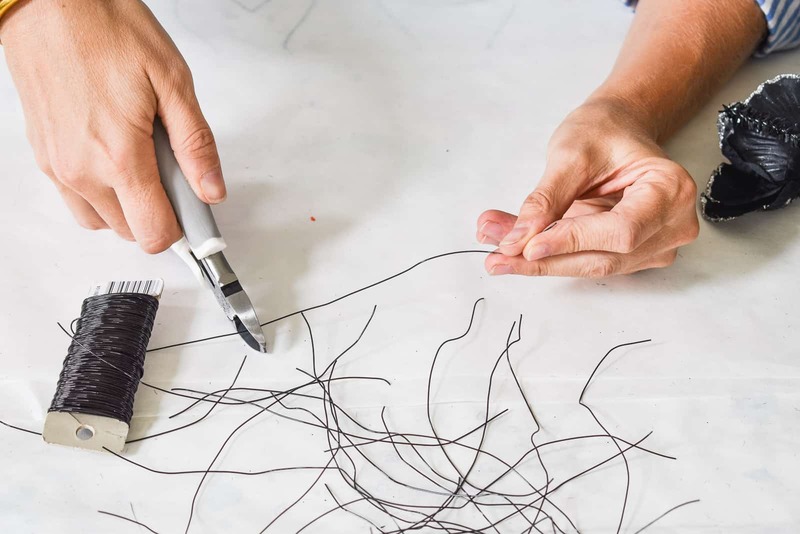 I enjoy all your projectS! You’ve INSPIRED me to add more color to my home!! I love it you did great job with your decoration! I will definitely try at home, your house looks lovely.